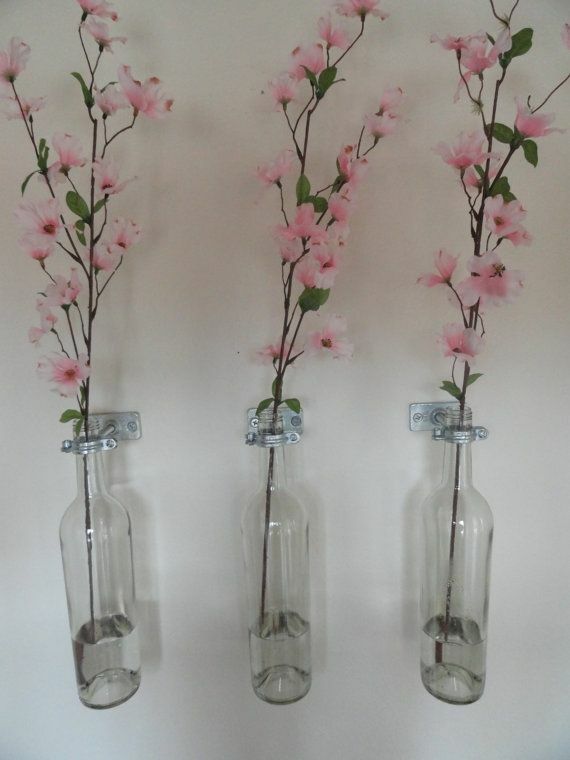 Add a touch of elegance and uniqueness to your home while recycling at the same time! 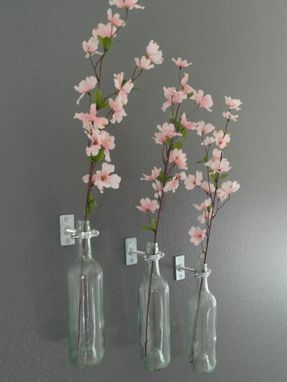 The galvanized metal hardware adds a nice contrast to the clear glass wine bottles. 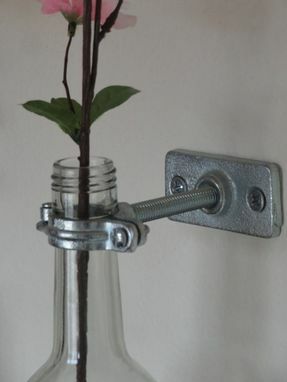 The brackets can be hung either vertically or horizontally. You may use real or artificial flowers. 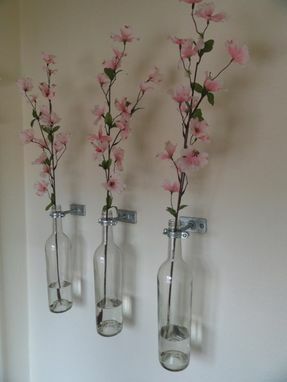 The wine bottles can be easily removed for emptying and cleaning. Depth (From Wall) - 5"
*The beautiful flowers shown are not included.